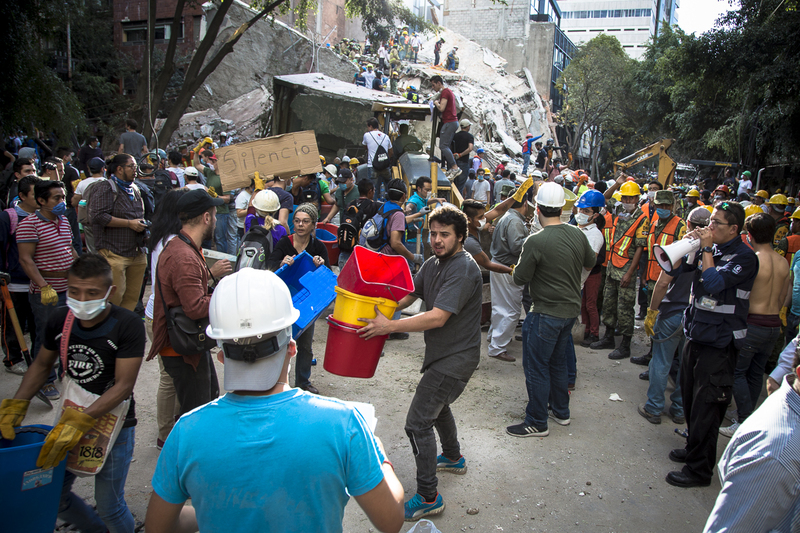 On Tuesday, September 19, a powerful earthquake struck central Mexico. With a magnitude of 7.1 on the Richter scale and the epicenter just south of the city of Puebla, it has caused numerous deaths and widespread damage in Mexico City and the neighboring states of Puebla, Morelos and the State of Mexico, along with reports of loss of life and structural damage as far south and west as the states of Oaxaca and Guerrero. Dozens of buildings collapsed in Mexico City alone and at the time of this writing at least 230 people have been reported as killed. The earthquake occurred just hours after a national earthquake drill and commemoration of the 32nd anniversary of the 1985 quake in which more than 10,000 people were killed. 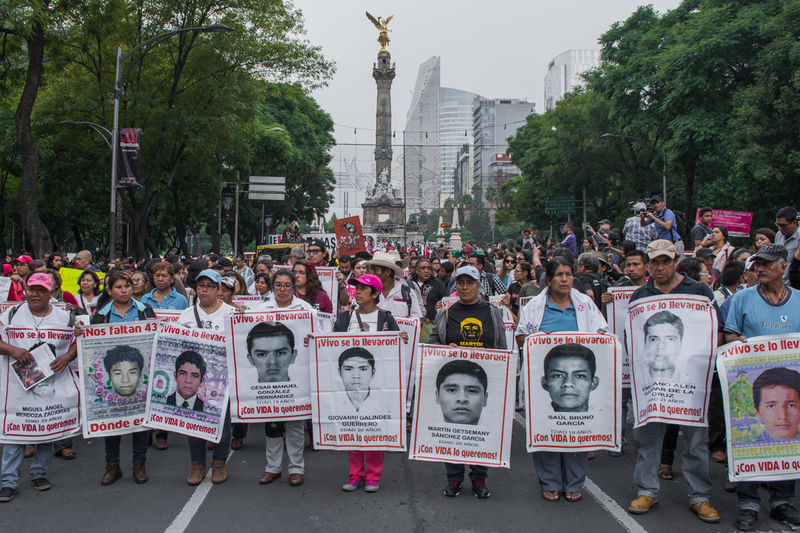 The 1985 tragedy is a seminal moment in modern Mexican history not only for the massive devastation caused but also due to the negligence, corruption and opportunism which marked the government’s response, especially when contrasted with the tremendous mobilization and solidarity of civil society in successfully self-organizing rescue efforts in the face of the state’s abdication of responsibility. Back when I first began selling my labor for a wage in the wasteland of suburbia’s strip malls, I can recall the tedium of stocking shelves, summoning up insincere courtesy in the face of entitled customers and obnoxious bosses, comparing the stacks of money counted at the end of the day with the totals on our paychecks, and feigning adherence to whatever motivational façade management cooked up to mask the reality of our exploitation. Yet I also remember, much more vividly and fondly, the latent and occasionally eruptive defiance among my co-workers. This included the constant collective complaining about the job, taking more and longer-than-approved breaks, working as little as possible, fudging time sheets, stealing, and the intermittent screaming matches with the boss in the middle of the store. Underpinning all these actions was an unspoken but broadly understood code of silence when it came to such transgressions and, when appropriate, expressions of support for them. At the time, I didn’t think much about this, it was just how things happened and I’ve encountered similar experiences to varying degrees in every workplace since. Our actions weren’t guided by a political framework nor was there any attempt to organize them in a directed manner. It was more a spontaneous, innate reaction to experiencing the coercion of capitalism. 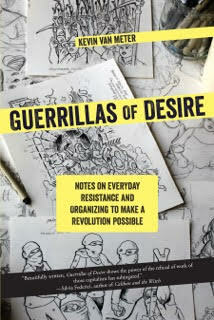 I had cause to reflect upon this anew while reading Kevin Van Meter’s new book, Guerrillas of Desire: Notes on Everyday Resistance and Organizing to Make a Revolution Possible, published by AK Press and the Institute for Anarchist Studies. 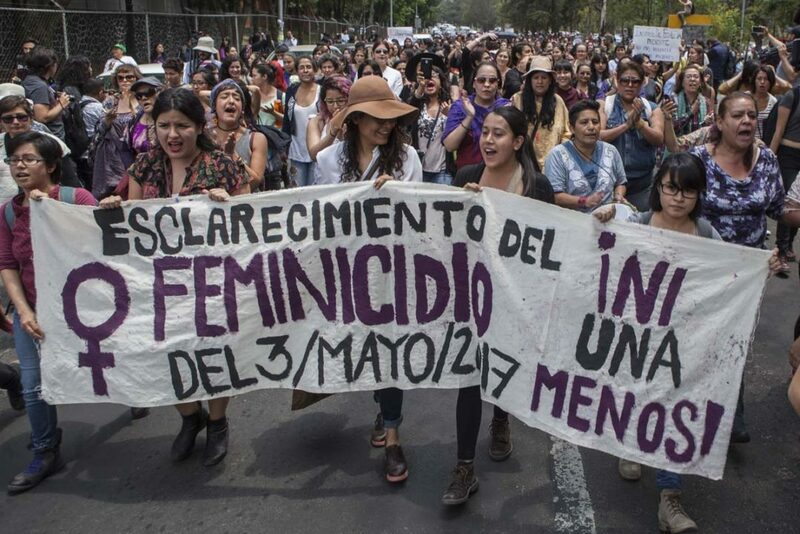 In May of this year, the eco-extremist group Individualists Tending Toward the Wild (ITS) issued a statement claiming responsibility for the murder of two hikers in the State of Mexico and the femicide of Lesvy Rivera at the National Autonomous University of Mexico (UNAM) in Mexico City, providing as justification for these acts their belief that “every human being merits extinction.” In response, I wrote “There’s Nothing Anarchist About Eco-Fascism: A Condemnation of ITS” for It’s Going Down, denouncing both ITS and the U.S.-based anarchist platforms that disseminate and promote the group’s activities. While by no means the first anarchist condemnation of ITS, it did garner a bit of attention, facilitated in part by the responses of ITS and its supporters, which we will turn to in a moment. 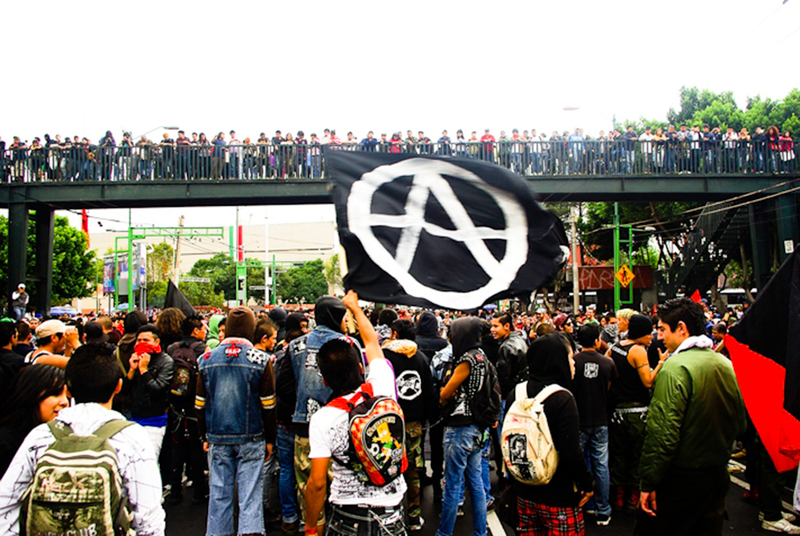 Shortly thereafter, strong critiques emerged from other quarters, in particular from insurrectionary anarchists such as L from the UK, Eat from Indonesia, and a joint statement from former members of Anonymous Anarchist Action, Conspiracy of Cells of Fire, the Mariano Sánchez Añón Insurrectional Cell and others in Mexico. 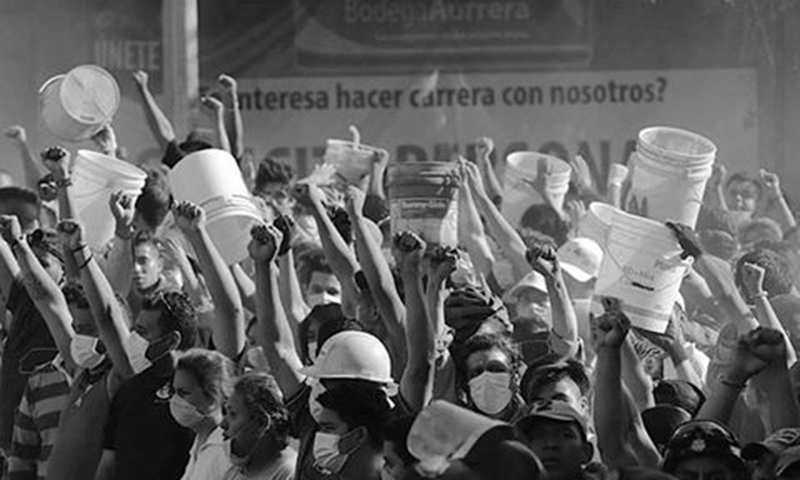 We are from that horseshoe that surrounds Mexico City; that blankets it, gives it food, water and air to live. We are the ones who work in the big corporations, in the gentrified and commercially valuable neighborhoods; who clean homes, offices, who make food sprout from the fields. We are those people whose right to walk is an obligation and the bicycle a source of work; who see half our lives ground away in the guts of public transportation. We are those who live behind the contaminated river, among massacred trees and under an enormous haze of filth. We are those who are offered egg shells as homes and shopping malls as the only place to expand the spirit. 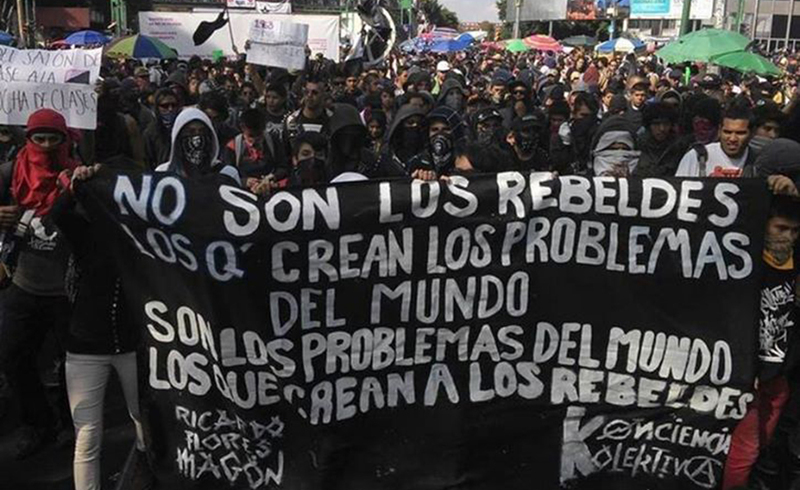 This is a special IGDCAST with Sofi, an anarchist compañera from Mexico City who is deeply involved in a variety of solidarity and organizing efforts with anarchist prisoners in Mexico. The audio interview is in Spanish, while below is an English transcription, along with two song MP3s you can download separately. If you want to see more in depth reporting on what is happening in Mexico, be sure to support our Mexico trip fundraiser. We start off this episode with a recorded greeting from the Cimarrón Collective in North Prison in Mexico City. 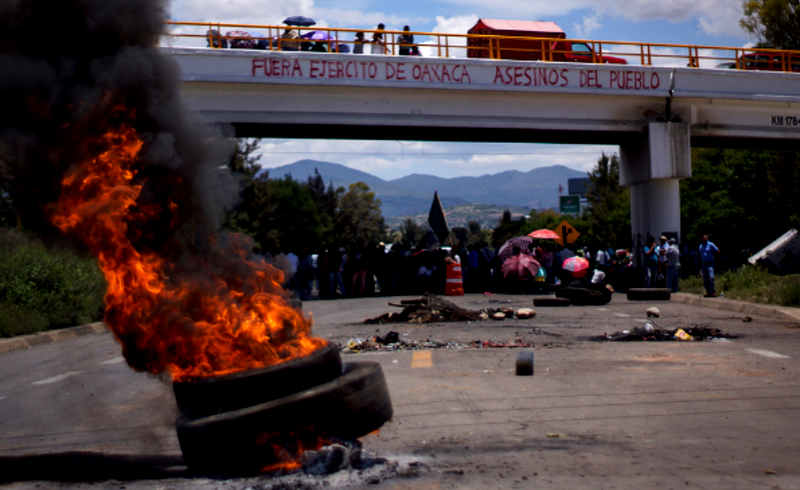 Then Sofi discusses the persecution and repression facing the anarchist movement in Mexico City as well as a review of the situation of four anarchist prisoners currently being held by the Mexican state. 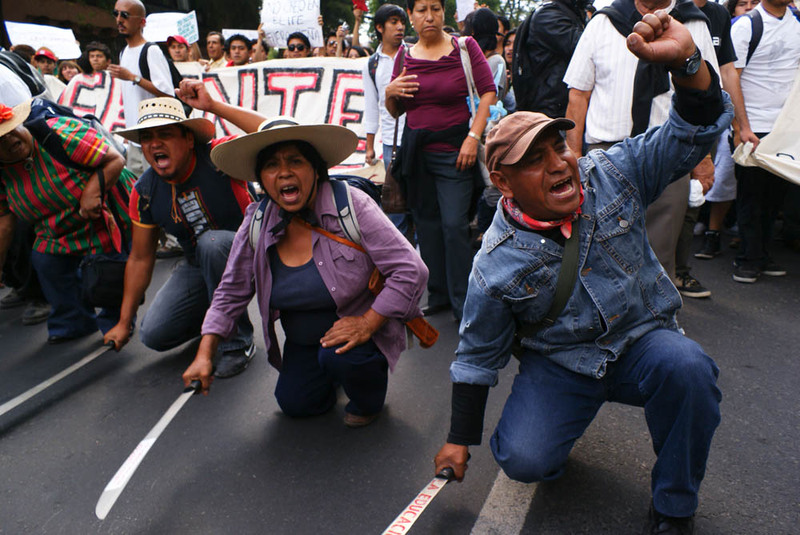 We look at the corruption, exploitation and neglect that occurs in Mexican prisons and what compañeros on the inside are doing to fight back. 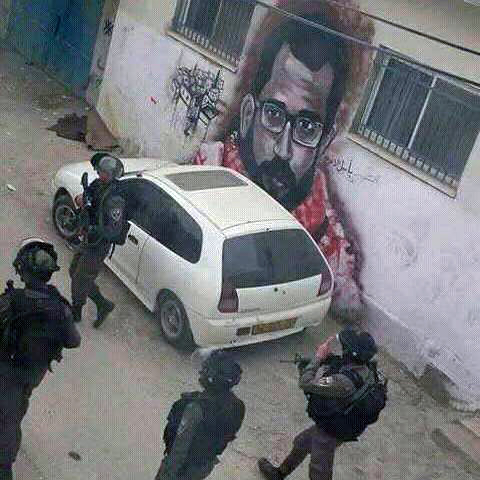 In particular, there is a focus on the Cimarrón Collective, a formation started by anarchist prisoner Fernando Bárcenas that has autonomously reclaimed space inside the North Prison and self-manages a variety of initiatives. For listeners, perhaps the most intriguing one will be their punk band, Commando Cimarrón. A couple of their songs are included in the podcast. The interview then wraps up with discussion of a proposed amnesty for prisoners being put forward by “leftist” political parties in the Mexico City government and the response of our anarchist compañeros. Lastly, there are suggestions for how the struggle for their freedom can be supported from outside of Mexico. Throughout this post, we include links for more information, primarily in English, and photos of some of the art produced during workshops organized by the Cimarrón Collective.